Hey, my name is Emily! I’ve always loved to write and have been fortunate enough to produce content as my full time job since 2015. Starting out as an Accounts Manager for a Digital Marketing Agency in West Sussex, I quickly grasped an understanding of how to tell stories through words and the impact that could have on my clients’ businesses. I then moved in-house, working most recently as a Digital Marketing Executive at a global software company based primarily in their Content and Growth Marketing Team. Aside from work, I run my own travel blog, Luxe Beach Baby, where I combine my passion for travel with writing, as I share my adventures and advice with my followers. 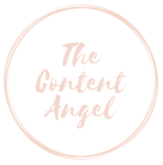 I decided to set up The Content Angel in 2019 to further develop my content career and have the opportunity to tell the stories of different brands from around the world.